Here’s the thing though: While current HDMI cables are able to able to support the most basic of 4K television pictures (otherwise, the current batch of 4K TVs being sold wouldn’t work), they’re not capable of handling both a good picture and a good frame rate. See, to get the most out of a 4K television, you’ll need a cable capable of transmitting a huge amount of data incredibly quickly. To that end, the non-profit HDMI Forum announced the technical specs for HDMI 2.0, the next generation of TV and computer cables. The new HDMI specification will allow for a 3,840 x 2,160 pixel image to be transmitted at a rate of 60 frames per second (increased from the current 30). It will also support 32 audio channels, dynamic lip sync and up to 18Gbps of bandwidth. None of this will improve the picture of your current television, but the new HDMI 2.0 cables will still be backwards compatible. You don’t need an HDMI 2.0 cable to get a basic 4K picture. You will need one, however, to get the most out of something like Panasonic's Viera WT600 65" Ultra HD television, the first to display a UHD image at 60 frames per second. Unlike non-HDMI 2.0 televisions, the Viera WT600 will support the higher frame rate of a movie like Lord of the Rings (48 FPS) or a fast-paced videogame. Oh, and one last note before these cables hit store shelves: There is literally no difference in picture quality between a bargain-basement $5 HDMI cable you buy off Amazon and a $100 Monster HDMI cable you buy at Best Buy from a high-pressure sales dude. 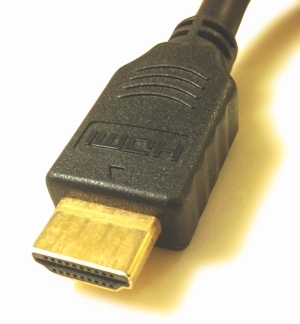 HDMI 2.0 either works, or it doesn’t – there’s no middle ground for the standard.